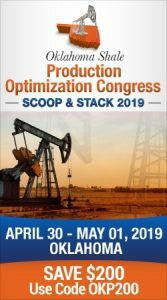 Oklahoma’s oil and gas rig count slipped below 100 over the past week while the national count grew by two to reach 756, according to figures released by Baker Hughes Co. The Oklahoma county dropped by 3 to reach 98. Nationally, the county of 756 is 267 more than one year ago. The increase in the past week included 7 more oil rigs, reaching a total of 609. The number of gas rigs dropped by 5 to hit 146. Canada’s count fell by 6 to reach 335. The Permian Basin in Texas and New Mexico remains the most active oil play and saw an increase of 2 to reach 308. The Eagle Ford in south Texas reached 69, an increase of 5. The Mississippian in Oklahoma remained at 3 rigs while the Granite Wash increased by one and reached 13 rigs. The Woodfords in Oklahoma added one to reach 8 rigs. Texas still has the most active rigs in the nation with a count of 392, an increase of 6 in the past week. Louisiana’s count grew by 2 to hit 51. The count in New Mexico dropped by one to 47. North Dakota added 3 to hit 37. Colorado’s count slipped by one and fell to 25. 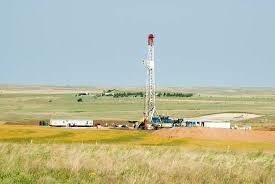 In Kansas, the count over the past week fell by 3, settling at 33 working rigs.